Joseph Hudson started work at the age of 12 in the engineering workshops of Birmingham. He trained for 7 years as a toolmaker learning to do by hand the many tasks so often undertaken by a machine today. In these early times he learned the skills that made him a superb craftsman in metal, later forming J Hudson & Co Whistles Ltd. Single minded in his pursuit of excellence in everything he did his first products took traditional ideas and improved on them. A good example of this is the Boatswains Pipe and the Postman’s whistle. His ability to innovate and strong desire to be original were starting to show. Joseph Hudson was clearly highly practical but had imagination. Among his many patented inventions are a battery charger and a camping stove that could not be extinguished by the wind. Many products were made in his first workshop including corkscrews, snuff boxes and gas light mantles. But his real passion was for whistles. Joseph Hudson saw the potential for the whistle as a communication tool in areas of work, leisure and day to day life where a loud and reliable sound was needed. 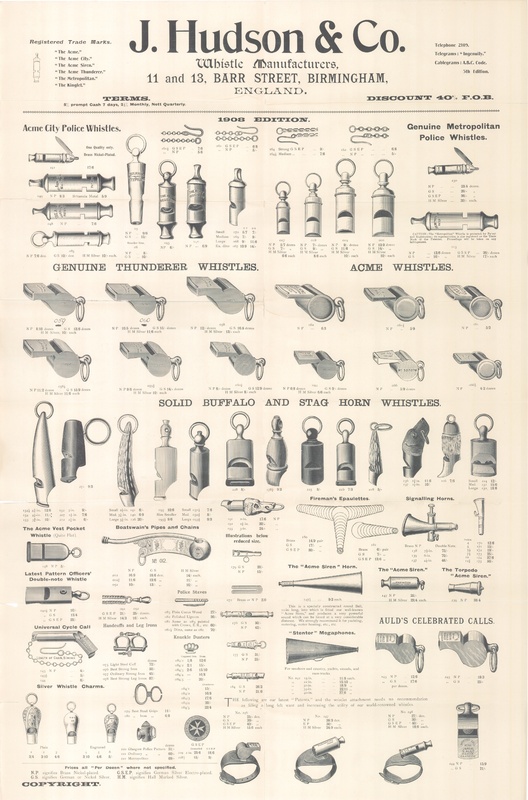 Combining this vision with his technical knowhow enabled ACME (J Hudson & Co Whistles Ltd), in those early days, to create the World’s most extensive range of whistles, calls and sound effects. Two of Joseph Hudson’s life long past-times equipped him well to become the greatest inventor and designer of whistles in the history of the craft. The first was his love of Music. His chosen instrument was the violin that he played every evening. The second was his fascination with railways and trains then new and revolutionary. These hobbies gave him an insight into sound, its production and control. He realised the importance of effective signals in a noisy environment such as the railways with their steam engines and rattling carriages. Signalling on the railways was very important not just for safety but for time keeping too. Waving flags was fine but couldn’t really grab attention like a whistle. The Police were already using sound in the form of a rattle but he saw the great problem of making the right sound for the right occasion. The increasing cacophony of Victorian city streets and the noisy railway stations with their mechanical sounds and constant hissing of steam. He saw a need for a whistle and knew that it wasn’t just a case of making a whistle but of making a whistle that would stand out from the background noise and cut through the sounds of the environment in a way that guaranteed it would grab attention and command authority. He set about the task and launched himself on a learning curve that lead to his establishment as the most accomplished whistle maker of his time and since. 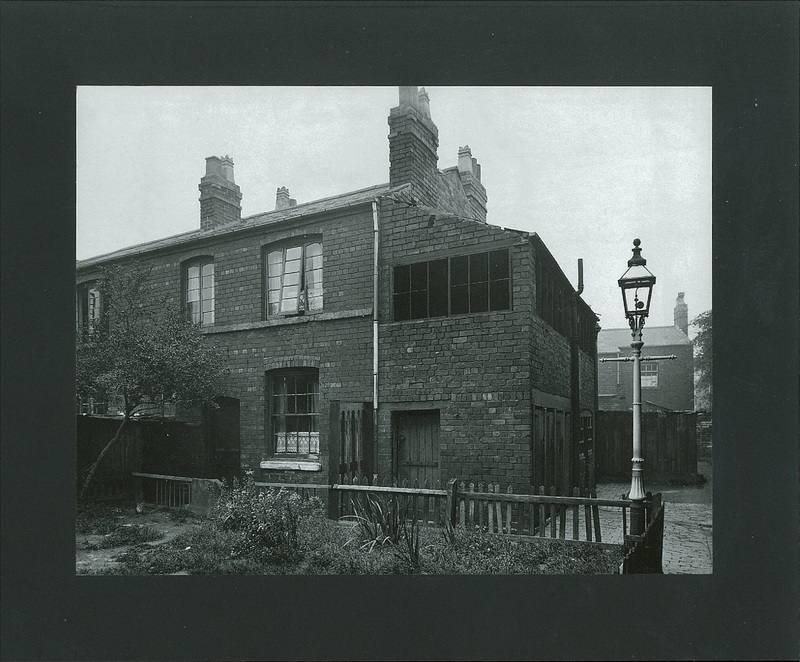 As a result of his activities a whole whistle making industry sprung up in Birmingham. His company, ACME, led the way. 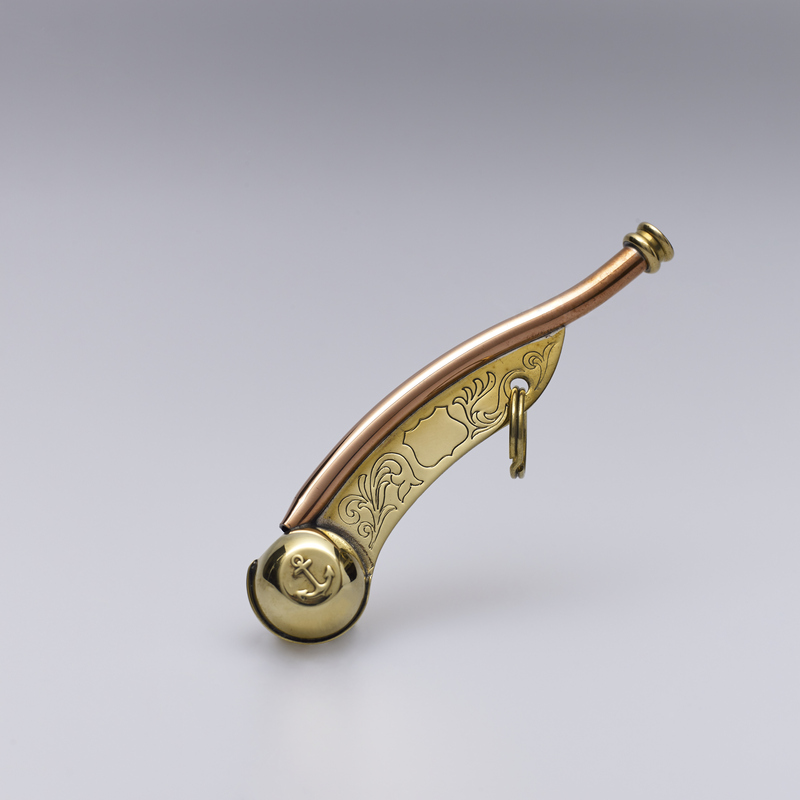 His pioneering work and unique understanding and skillset created the designs that are still the basis of modern whistles. One of the truisms of the world of manufacturing and business is that if you come up with a good idea that is successful you will not be on your own for very long. Then, as now, copycat companies and products soon developed some of them from amongst Joseph Hudson’s own staff who he had trained. It is testament to the ultimate quality of his products and the ethos of excellence and invention that he instilled in his company that ACME alone is still here leading the World nearly 150 years late..